Crewed motor sailer Meltemi sailing you to unforgettable and magical places in Greek destinations. The novelty of this yacht is the cabins. Each one has an ancient name, Zeus, Venus, Apollo, Artemis, Hermes, Atena, Neptune, Hera accommodating sixteen guests. A small touch with Greeks' famous ancient history. 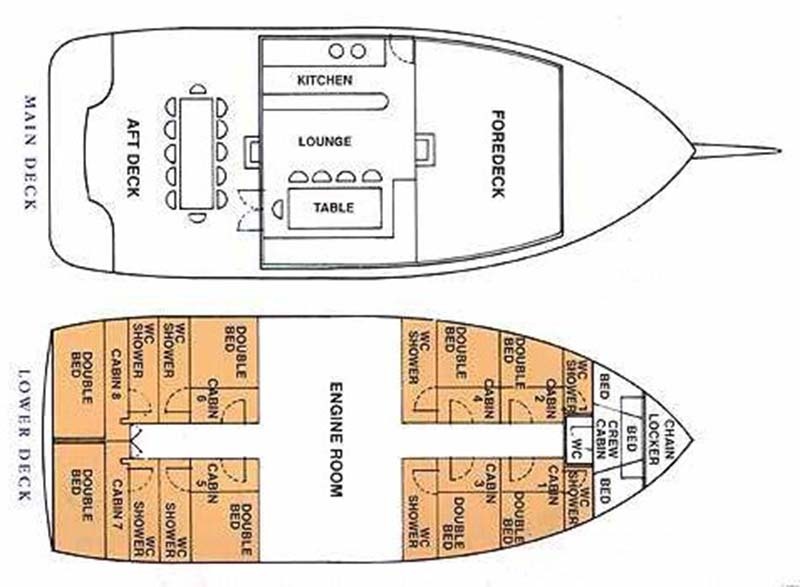 A popular yacht combining modern facilities in traditional style. You’ll never get your fill of the panoramic views from the airy saloon-dining area of the Meltemi. 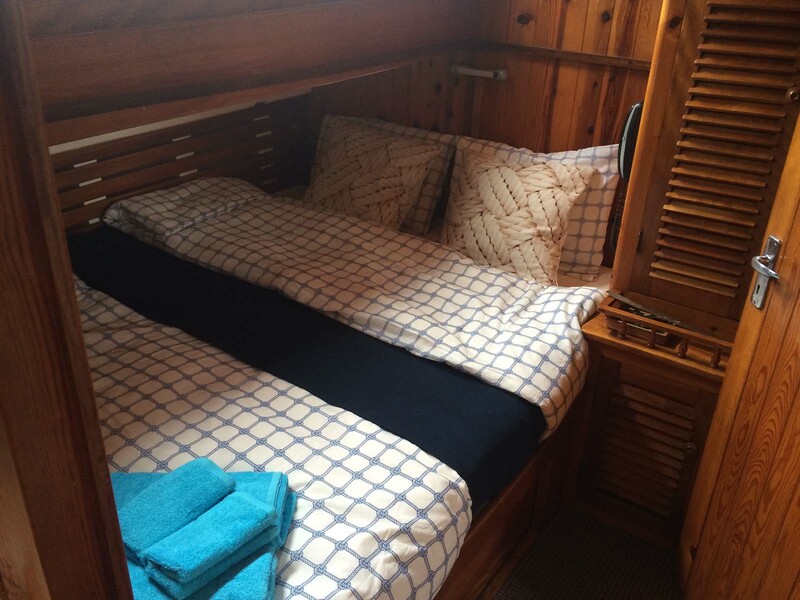 She comfortably accommodates up to 16 guests in 8 cabins. Outside, lounge on the charming, traditionally styled sundeck with additional dining space. Her attentive crew of five will take you on an unforgettable odyssey to the Greek islands. Meltemi can host 16/19 Guests for overnight cruises and up to 49 for daily cruises! One dinghy 4,20 m with Yahama x 40 hp o/b, Water Skis, Fishing & Snorkelling Equipment, LCD TV, DVD, CD entertainment. Fully air-conditioned, Watermaker 350 lt/h.